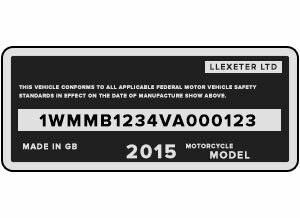 Free VIN lookup for your motorcycle / car / truck / van or anything with a Vehicle Identification Number. Where is the VIN on my motorcycle? 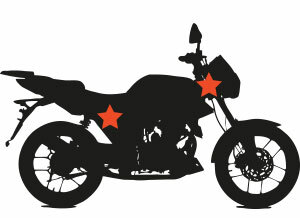 New motorcycles tend to have the VIN No stamped on the steering neck where the fork goes through the frame near the headlight. A few manufacturers such as Harley Davidson will stamp the VIN on the side of the engine and nowhere on the frame. Some Honda’s have a tag riveted to the steering neck and on occasion the VIN will be stamped in the frame just below the seat. 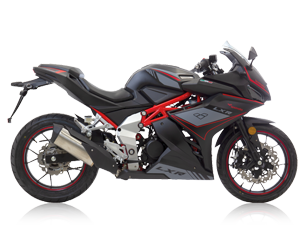 Different manufacturers and the age of the motorcycle will ultimately determine the VIN location. Most scooters will have a cover above the footrest below the glove compartment which you can remove to see the VIN, if you have no cover then it may be located near the main stand. 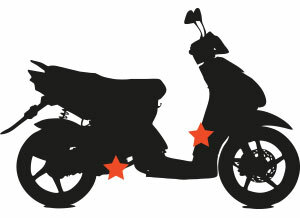 VIN stands for Vehicle Identification Number, and can be found on any motorcycle, scooter, car, van etc.. It's not something worth memorising however knowing where its etched on your vehicle is worth the 10 seconds it takes. The VIN is 17 characters long and is more or less a code to the vehicle's background. The VIN contains information on the manufacture, model year and where it was built. In many respects, the VIN is the ID for your vehicle. The VIN appears on registration documents, and insurance cards in some countries but if you're like many people those documents are somewhere inside box in your house. Or is it in the garage? 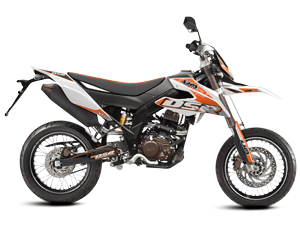 So knowing where it's at on your 2- or 4-wheeler makes it a lot easier and saves a bit of time. 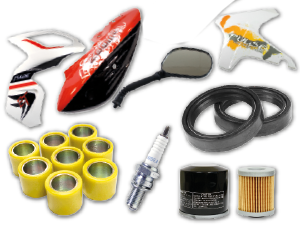 When buying parts, using the VIN is a sure way to find exactly what you need and quite often a sales rep will ask for it. Additionally, if you are selling or buying a used vehicle the VIN tells you or a prospective buyer if the vehicle has been in an accident, rebuilt or even stolen, among other information. 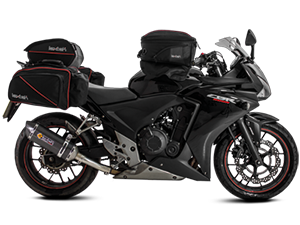 High quality motorcycle accessories at the lowest possible prices. WWW.WHOMADEMYBIKE.COM - Find out where your motorcycle was manufactured.